Obesity is a pandemic associated with significant comorbidities such as type 2 diabetes (T2DM). RYGB is an effective treatment modality for obesity and T2DM. However, bariatric surgery is currently limited to a relatively small population of patients. 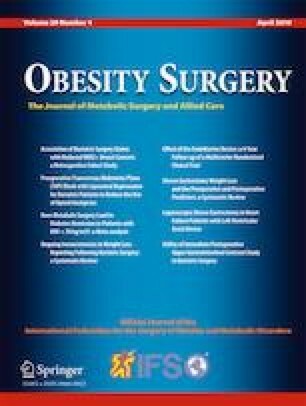 The duodenal-jejunal bypass sleeve (DJBS) has recently emerged as a promising therapy for obesity and T2DM by providing similar physiological effects to RYGB. We describe a case of a patient with a previously placed DJBS presenting with abdominal pain from anchor erosion managed with an endoscopic approach. A 58-year-old man with obesity and T2DM who had failed prior medical therapy for obesity was referred for DJBS placement. This was placed without complications. At 8 weeks follow-up, he developed abdominal pain and vomiting prompting immediate endoscopic evaluation. EGD revealed an anchor erosion resulting in mild stenosis of the pylorus. Additionally, hyperplastic tissue was found to be adhered to the device in the duodenal bulb. Endoscopic removal with balloon dilation was unsuccessful, and a stent was placed in a “stent-in-stent” fashion through the sleeve to compress the area of tissue ingrowth encouraging local tissue necrosis and device extraction. At 15 days follow-up, the stent was removed; however, the DJBS remained adhered and immobile. Next, the ingrowing hyperplastic tissue was resected in a piecemeal fashion. This resulted in mobilization of the sleeve anchors in the duodenal bulb and successful removal of the DJBS. DJBS endoscopic removal is safe and effective even in challenging cases, thus preventing the need for surgical intervention. The online version of this article ( https://doi.org/10.1007/s11695-019-03855-y) contains supplementary material, which is available to authorized users. Eduardo Guimarães Hourneaux de Moura is a consultant for Boston Scientific and Olympus. Manoel Galvão-Neto reports fee as a consultant and proctor for Fractyl Labs, GI Dynamics, Apollo Endosurgery, GI Windows, and NitiNotes. Christopher C. Thompson reports fee as a consultant for Boston Scientific, USGI Medical, Olympus, Fractyl Labs, and Apollo Endosurgery. All other authors declare that they have no conflict of interest. Institutional Review Board of the Hospital approved the study. A consent was signed by the patient before the procedure.